Shaan has worked in the telecom industry for 31 years. Having started at the ground level as a warehouse clerk in 1988, and working up through the ranks, of cabling technician, systems MAC technician, systems engineer, he then worked as a system sales and design engineer for 10 years. 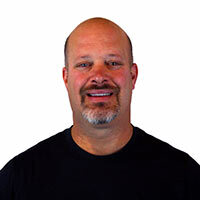 He started Dynamic CommSource in 2003 while working as Vice President of Engineering for Dynamic Communications Inc., a telephone interconnect in Albuquerque, New Mexico. "It is my pleasure to serve you here at Dynamic CommSource Inc. If there is anything at all I can do for you, don't hesitate to call me." Personal - Jesus Christ is the passion of my life. He is my God and King and I live my life for Him and serve Him. I am a Pastor and Bible teacher at Heritage Christian Fellowship in Albuquerque, New Mexico. I have been teaching the Bible for 26 years and have a personal website where many of my teachings are posted for viewing at Heavens Light. I also enjoy relaxing at home and cooking for my wife Maxine and family. I like to go big game hunting in New Mexico with my sons and I also collect vintage Hi-Fi equipment and Jazz vinyl records. 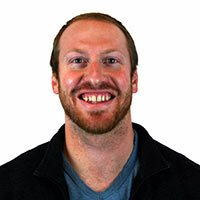 Jeremy has been with Dynamic CommSource since its inception. He currently works as the Vice President of Operations, and also in Sales/Engineering. 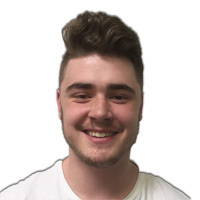 Jeremy has experience in most areas of the Telecommunications industry including cabling, PBX/Key system installation and programming, training, design/engineering, sales and management. Jeremy graduated from the University of New Mexico's Anderson School of Management with a Bachelors of Business Administration in Management Information Systems in May of 2005. He is a husband and father to three boys and a little girl. Jeremy enjoys spending time with his family, collecting vinyl records, and leading worship at church. "I am here to serve YOU! Please let me know how I can earn your business!" August has been working with Dynamic CommSource for over 8 years, and is dedicated to providing the highest standard of customer service and accountability. He will be more than capable to assist you with any needs and requirements you may have. Please contact August today in order to get a great value on a phone system, or to get top dollar for your out of service assets. "Willing to do 'whatever it takes' to handle your phone needs." 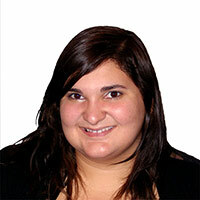 Janelle is one of the newest members of Dynamic CommSource. Her responsibilities include keeping the books, as well as administrative duties. Outside of work, Janelle love spending time with her husband, listening to and playing music, and playing video games. Brian has worked in the Audio/Video, Cable Television and Telecommunications industry for over a decade. He has knowledge in many fields ranging from Customer Service, Video Engineering, Audio/Video/Telecommunications installation, and Telephony Sales and Product support for the Nortel product line. 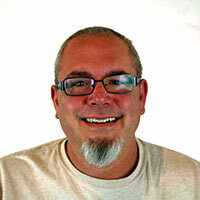 Brian is an avid motorcycle rider, and really enjoys cinema, music, and reading. "I look forward to the opportunity to help you build a customized Nortel phone system!" 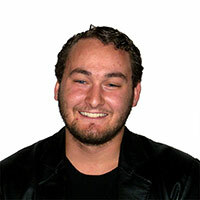 Anthony works at Dynamic CommSource Inc. maintaining the websites that are owned by Dynamic. 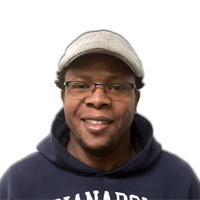 Anthony has worked in website maintenance for nearly a decade, and enjoys his current position working for this company. He enjoys spending time with his wife and children and spending time outdoors in his garden or out in nature. Hescar has been working with Dynamic CommSource Inc. for nearly 3 years. As a Refurbishing Technician, he makes sure that customers receive the best refurbished phones. Hescar’s passion is practicing and competing in martial arts. He even operates a martial arts school. Leo has been working with Dynamic CommSource Inc. for less than a year. He works cleaning a refurbishing our quality phones. Leo enjoys reading, drawing, traveling, and spending time with his parents and two brothers. 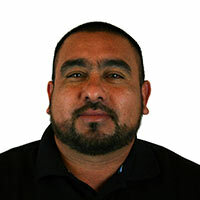 Leo is bilingual in English and Spanish, and has previously worked in the construction trades. Adrian is responsible for all our shipping. He also does packaging and quality control. 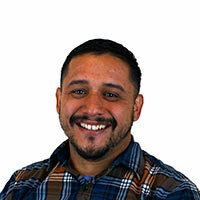 Adrian feels blessed with his position at Dynamic CommSource. Adrian loves spending time with family. He enjoys hobbies such as listening to music, reading, writing, outdoor sports like airsoft and paintball. Adrian dreams of visiting Ireland and Scotland. 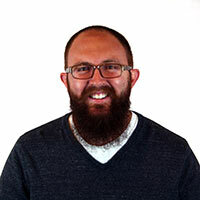 Davis joined the Dynamic CommSource team in fall of 2018. Davis is originally from Uganda and is an award-winning artist. When he’s not at work, he enjoys fixing things around the house, watching the news, and spending time with his wife. 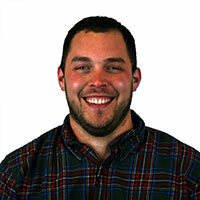 Matt has been working with Dynamic CommSource Inc. for less than a year. He works cleaning, testing, repairing and refurbishing our quality phones. 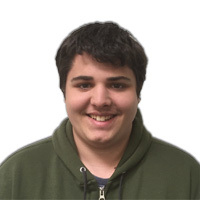 Matt enjoys listening to music, reading, biking and playing video games. Brandon has been working with Dynamic CommSource Inc. for less than a year. He works cleaning, testing, repairing and refurbishing our quality phones. He likes to play basketball, football and hang out with his friends. He plans to go to college.